Day 8: Most overrated book. This is actually the hardest question so far because I haven't read a book where I've disagreed too much with it's average rating on Goodreads. 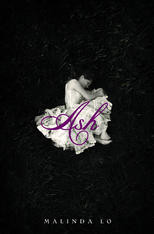 But I guess one of the books that I've given the lowest rating to that people seemed to really like is Ash by Malinda Lo. What initially drew me to the book was the cover. The fact that it was a retelling of Cinderella was what made me read it. I love the fact that it is a LGBT book. I highly encourage people to read it for that reason. The thing I didn't like about it was the story. I don't understand how the love between Ash and Kaisa is real. I didn't see their process of falling in love. Other people might see it and be able to believe that the love they share is real. I don't want people to not like this book just because I didn't like it. There are plenty of people who loved it! What is the most overrated book to you?